A writer with a mind that travels through time and with time. Having seen some of the most beautiful places in the world, Nil enjoys discovering new places and learning about its people. She believes that there’s nothing better than the knowledge that is learned through the experiences of others and used for one’s betterment in life. She also considers that having an open mind on people and places will help human beings on earth respect and understand each other better. Nobody likes to be in crowded and busy places, especially during travels. Many of us independent travelers would seek out for places that are less touristy and less packed with people. Bali is no exception, where many travelers came in hope to find places where they can escape the crowd. Most tourists end up being disappointed due to the overcrowding of tourists. But fret not, there is still some charm to Bali that is still quite undiscovered. Let us bring you to Bali’s off the beaten tracks, in secret and unique places, and you will find the magic that made Bali famous in the first place. Kintamani is located in the centre of Bali and not particularly that well known yet in the tourist circles. It has amazing views, including that of the famous Mount Batur. It is filled with villages, old temples, and rice fields, where you can just take a walk and get a sense of life among the locals there. There is also a Bali Elephant Safari Park, where you can get an up close feel with elephants, including feeding, touching and riding them through the jungle. You can also savour the Asian Palm Civets coffee here, which is one of the most expensive coffee in the world. Singaraja is the place to go in Bali if you are interested in learning more about the history and backgrounds of Bali. There’s the Lontar Museum in Singaraja that displays a range of information regarding the Balinese culture. It was established in 1928 and has a library that contains over 3000 manuscripts on lontar leaves, which include poetry and government content. If you are interested to know more on the royals that lived in Bali, then you can get an idea by visiting the living quarters of the late king Anak Agung Putu Djelantik. Munduk is an area where you can go on treks in the villages, taking dips in waterfalls and traversing rice fields. It is known for the eco-tourism project that was planned to enhance the beauty and nature of this place. This includes the Puri Lumbung Cottages, which is one of the main resorts in this area. Staying here will guarantee tourists a view of the spectacular sunsets and local sceneries, including rice fields and the nearest coastline. This place is also famous for its amazing canyoning experiences. Lombok, although not exactly in Bali, though recently known as “the other” Bali, is a place that is different from the other popular tourist places in Bali. Lombok is filled with activities that will keep tourists on their toes in a good and healthy way. It is also popular for surfing and is also known as a cool surfing village. There are also secluded coves and villages that picture a different image than the one tourists are used to in Bali. Come here soon to discover the magic before it gets onto the tourist trails and no longer be one of the off the beaten path. -> Check out our Lombok Travel Guide to read more about this alternative to Bali. Mengwi is located near the popular tourists’ area, Ubud. It is surrounded by rice paddies and peaceful ambiences. Mengwi is considered a great spot for families with children and couples as well. It features nice and decent places of accommodations for visitors. Places to visit and explore include temples, a mountain, coffee plantation, waterfall, lakes, vegetables and fruits gardens, and much more. 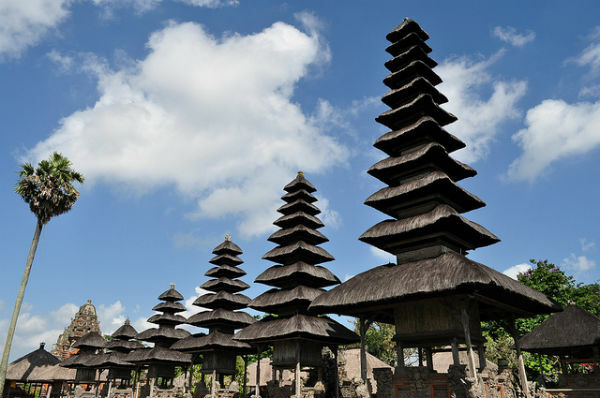 One of the Top 10 Temples to Visit in Bali, Pura Taman Ayun, is located here. There are also lots of activities for families, including massages and horseback riding. Other than Ubud, Mengwi is also located near Munduk; so tourists can always take a short trip to these areas. Tabanan is an adventurous place in Bali, as getting there itself is quite a voyage to take through the unpaved roads. 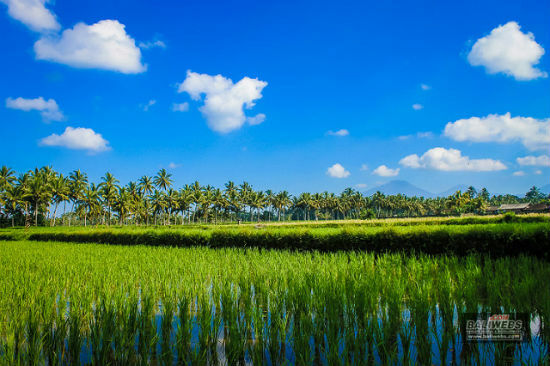 The place has the most beautiful scenery of green rice paddies. It is the ultimate place to go if you are looking for some peace and quietness in life. It is a great place for families with kids and it offers comforting accommodations. One such popular place is the Bali Eco Stay. Some places to stay are located close to the animals and the fields. 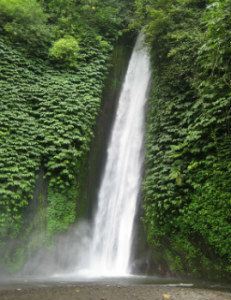 Tabanan is a great place for natural resources, which include rivers and waterfalls. Nusa Lembongan is a tiny island in the east of Bali with crystal blue water and white sandy beaches. It is a nice and peaceful area that is also home to NusaBay Lembongan (Waka Nusa), a resort that provides traditional huts as rooms to tourists. Nusa Lembongan features a better beach than those found in the popular areas in Bali, largely due to the lack of . The water at the beach is a nice temperature and diving activities are provided on the island as well. Karangasem is a place that offers something different from the cosmopolitan places of Bali. This countryside area in Bali features only natural beauty at its best. It is filled with amazing green views, cool breezes as well as great volcanic sights. An interesting activity that can be found at Bali Asli, which is a cooking school that offers experiences like no other cooking schools including the chance to live a day as a fisherman or as a local Balinese person. Gili Islands is a must visit place to those for those who are truly seeking out the unknown and for some adventure. Technically not on Bali island, this trio of islands are easily accessed from Bali by boat. These idyllic islands offer what popular and packed places in Bali do not have – serenity and untainted nature. This includes no vehicles like cars and motorcycles. The Gili Islands is famous for its coral reefs, turquoise waters and white sandy beaches. Accommodations choices are many in this place such as the popular Pearl Trawangan, Desa Dunia Beda or Wilson’s Retreat *. -> Read more at Gili Islands Travel Guide to get information on these relatively unknown islands. Amed is not that popular in Bali among tourists, but this doesn’t mean it doesn’t have an abundance of activities that can be enjoyed. There’s the Mimpi Dive Resort for those, who want to try out this activity. Others include the Amed Dive Center and the Adventure Divers Bali. For snorkelling activities, there’s the Jemeluk bay that offers excellent activities. There’s also a place called Tulamben that visitors claim to be a secret delight. Nearby Amed, there’s the Blue Lagoon Beach and also, the Padang Bai beach. Stay at quality mid-range Bali Dream House or Soka Amed Beach. For luxury seekers, there is the Griya Villas and Spa * that’s a favourite of many. 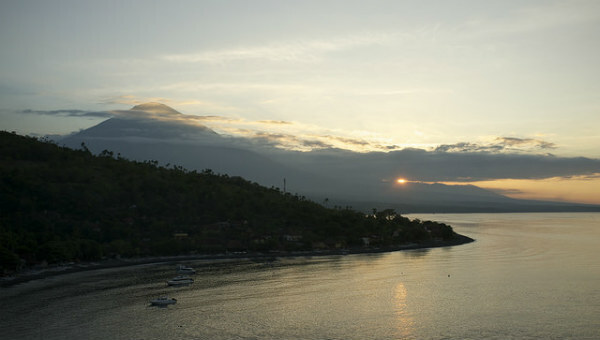 -> Check out our Amed Travel Guide to know more about this amazing secret place in Bali. Our Top 10 off the beaten track in Bali will take you to unusual places that will make you feel the soul and heart of Bali. There are so many activities that can be done and so many places yet to discover when you decide to visit Bali this way. There’s a whole range of things to do in Seminyak. If you are planning to visit Seminyak in Bali, then here’s the place to get an idea of what to do there. Although there are not many tourist attractions to be had, you can be sure to find yourself busy with beach activities, enjoying the best foods and the interesting nightlife. Since Seminyak is in Bali, it is without a doubt full of beaches where you can go and relax. 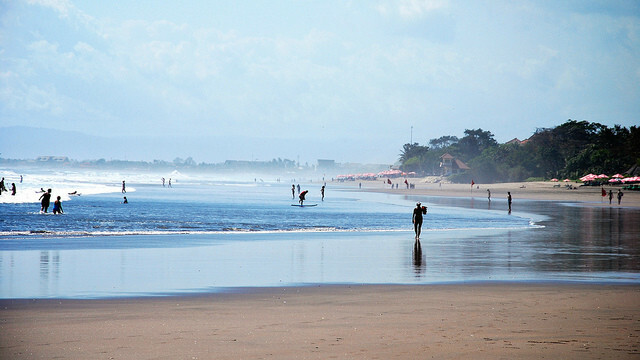 Seminyak beach is one of the best beaches in Bali. You can take a walk on the beach or you can lie down and enjoy a nice drink while enjoying the serene environment. 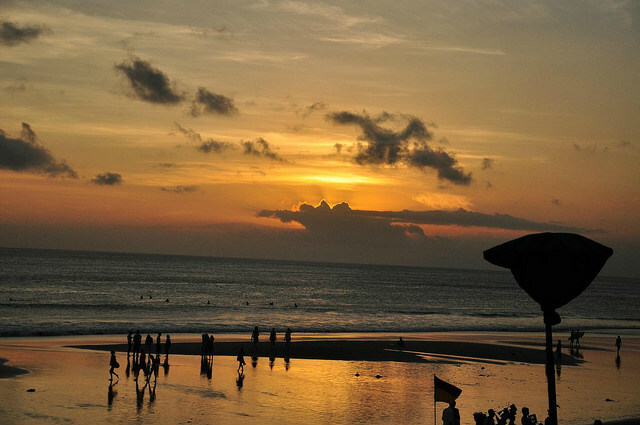 There’s the Seminyak Beach, which has a beautiful and spectacular sunset. 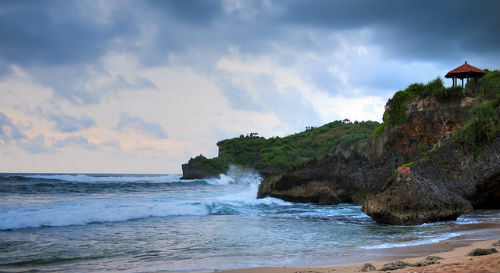 On the Petitenget beach, there’s a beautiful scenery and a Balinese temple located by the beachside. If you are looking for some action, then why not try bungee jumping. On the Seminyak beach, there is the famous AJ Hackett Bungy at the Double Six nightclub, which is known as a perfect place for bungee jumping in Bali. In Seminyak for bungee jumping, you will find yourself at a tower measuring at 45m. It is quite common for bungee jumping to be done at night, as you will find places open for this activity all night long. As one of the Top 10 Best Surf Spots in Bali, Seminyak is good for intermediate to advanced surfers. If you are a good surfer and is looking for a challenge, this is the place. But if you are a beginner, do not fret as there are enough surfing schools in Seminyak that are here to guide and help you with the right surfing equipment in beginner surfing lessons. The most famous places to surf around Seminyak are Kuta Beach, Canggu Beach and Legian Beach. You can also try kitesurfing here when the winds are in your favour. One of the things you must do here is to try some of the best Bali restaurants in Seminyak. There’s a range of restaurants, from five-star restaurants to street stalls and all sorts of food for your breakfast, lunch and dinner; all depending on the areas that you visit. The prices vary too, from cheap to modest to expensive. From vegetarian to western to Javanese, there are all kinds of cuisine waiting to be tasted in Seminyak. The local dishes that deserve a try are Nasi Goreng, Babi Guling, and Bebek Betutu. The perfect places to get a taste of this food are around the areas of Petitenget and Umalas. 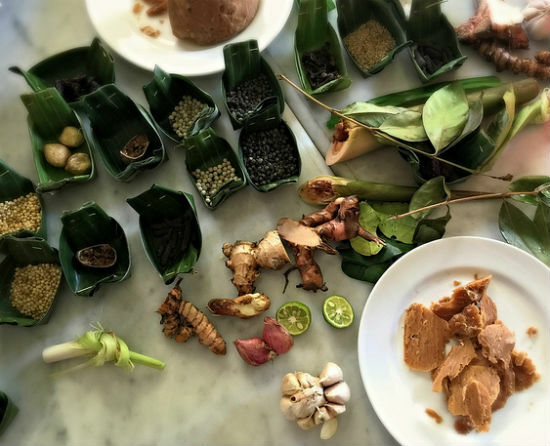 If you are up to it, you can also learn some Balinese cuisine here at many popular cooking classes in Seminyak. If you’re looking for a good brung, go to Café Organic and indulge in great coffee, vegan delights and interior-inspo! Café Moonlight Bali is definitely on my hot list of food spots in Seminyak and is full of healthy juices, amazing pancake stacks and really friendly staff. Seminyak has many happening nightspots. In fact, most of Bali’s trendiest nightspots are in Seminyak. There are dance clubs, bars, and nightspots to choose from. The hippest places in Seminyak for a great night are at Jl Double Six, Jl Oberoi, Jl Kunti and Jl Petitenget. The most famous happening places at night in Seminyak are Potato Head Club, Double Six, Ku dé Ta, Red Carpet Champagne Bar, and Syndicate Club Bali. Golfing is not that popular to commit to while on holiday overseas, but here in Seminyak, it is one of the things that you may take part just because of its location. Little known but it is also one of the best outdoor activities to do in Bali. The most famous golf course in Bali is the Nirwana Bali Golf Club, which is designed by the famous designer Greg Norman. The design of this golf course is such that it takes the player through the amazing scenery during the game, like terraced rice paddies and beautiful cliffs that lead down to the huge ocean. It is certainly a view and a game not to be missed. It is impossible to be in Seminyak and not find time to learn more about the religious culture of this place. The perfect place for this is at the Pura Petitenget temple, which is impressively located at the beach off Jl Petitenget. Sometimes, the temple holds beautiful beach ceremonies that you can be witness to if you are lucky. Going for holiday and not going for shopping before you head back home is out of the question. Here, you do not need that many reasons to go shopping, as Seminyak is a place made for shopping. There is everything that tourists would want to buy before going back home. Since Seminyak is known as the upmarket shopping district of Bali, there’s a whole variety of things to shop for here. From clothing and accessory boutiques to jewellery to art to amenities, Seminyak is the perfect place to fill up your luggage before going home to your family and friends. To be in Seminyak and not trying out the spa and massage treatment is a huge loss for any visitor. The spa and massage treatment is another way to relax during your visit in Seminyak. It is especially an excellent place to get your body back in order if you have taken part in some heavy outdoor beach activities. The spa and massage treatment come in many varieties in Seminyak. There are treatments with flavours like chocolate, milk and honey, avocado and much more. There are also many variations of massages, including the local Balinese massage. 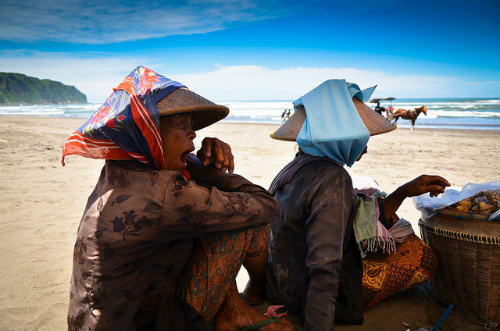 Or just chill at the beachside watching the sun go down as Seminyak is well known its beautiful sunsets. Parks are great ways to have fun, especially if it’s a water park. The Waterbom Water Park is a great place to have fun, particularly if there are children involved. There are enough thrills and adventures, such as the Race Track, Lazy River and Climax, which are lots of fun. There’s also the Bali Safari and Marine Park, which is another fun place especially if you are travelling Bali with kids. In this park, you get up close and personal with animals like tigers, hippos, rhinos, and zebras. There is also a variety of animal shows and a freshwater aquarium. The things to do in Seminyak is plenty. Since it is considered an upmarket place, Seminyak is filled with first-class accommodation and best restaurants. With a sophisticated atmosphere, Seminyak is an interesting place to visit and immerse yourself in. For those who wants a well located beachfront villa with modern and high class style. This hotel comes with pool that seems to run into the ocean, the feeling of tucked in an oasis all by yourself, and a well designed garden with gold fish pond. There’s also yoga every morning and customized breakfast. For those who loves minimalism, this comes with Balinese touches but keeping true to its philosophy. The hotel has 5 swimming pools to choose from, with plenty of the Indian ocean view. With world-class service, with available spa and babysitting services. Stay here if you want a good location to access the highlights of Seminyak too. 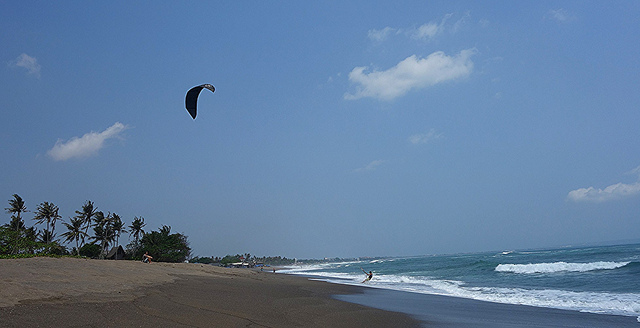 Kuta is famously remembered for its long golden white coastline and as a surfing paradise since the 1970s. Since then, Kuta has been transforming thanks to the development of hotels, bars, and restaurants. Though yes it has been touted as overrun by tourists, it still holds some sort of charm that continues to draw travelers from far and wide every year without fail. It is now one of the most famous fishing villages in Bali. 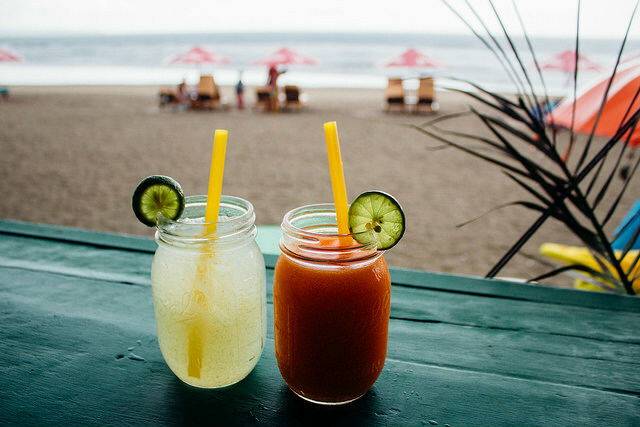 If you are planning a visit to Kuta, here are the top ten things that you can do during your stay to make it worth the crowd hustling. It’s impossible to be in Kuta and not get involved in any beach activities. The best beach that comes to mind is the Kuta Beach, which has one of the finest coasts especially if you are looking to catch a great sunset. It has a marked beach footpath where you can take a walk or romantic stroll. Many free activities can be enjoyed at the beach including relaxing, sunbathing, horseback riding and swimming, which is just unavoidable as the blue and clear water is just irresistible. The Kuta Beach Sea Turtle Conservation is a place in Kuta where visitors get to be up close and personal with sea turtles. The Kuta Beach Sea Turtle Conservation consists of a sea turtle hatchery and educational facility, whose purpose is to protect sea turtles due to its decreasing numbers. Breeding season is around June and July and this is when thousands of sea turtles turn up around the sands of Kuta to hatch their eggs. If you are in Kuta, then trying your hands or feet at surfing is a must. 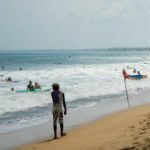 Even if you cannot surf, it’s not a big deal as Kuta is filled with surfing schools where beginners can learn to surf. There are all kinds of learning packages for individuals, families and couples. The amazing waves in Kuta are one of the reasons that tourists cannot resist surfing on and it is mainly one of its top attraction. Kuta is filled with beautiful temples that represent the religious backgrounds of the many cultures in Bali. There are two famous temples in Bali, which are the Leeng Gwan Kuta Temple and Kongco Bio Kuta Chinese Temple. 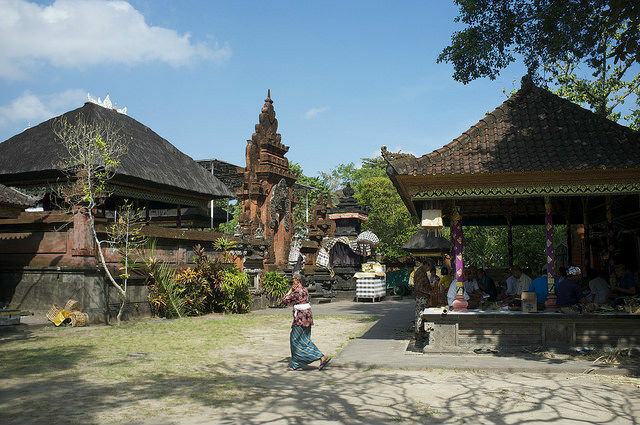 Temples in Kuta are some of the oldest temples that were built from hundreds of years ago. The temples in Kuta are landmarks of vivid colours and far eastern architectures. There is the sense of spirituality when visiting these temples, something that is not felt elsewhere in Kuta. The Waterbom Bali is one of the biggest water parks in Asia and it is a very popular tourist attraction located only in Kuta! 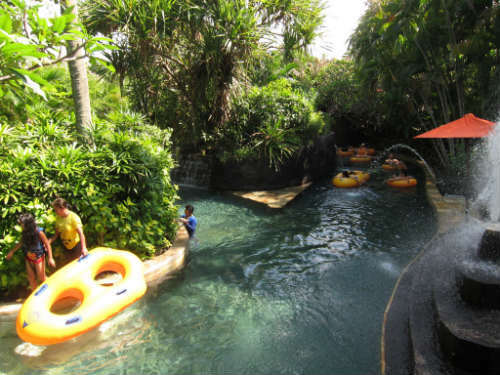 Since you are already paying a visit in Kuta, Bali, it’s definitely worth your time to spend at least a day if not three hours at Waterbom Bali. The thrills are plenty here, where visitors of all ages can enjoy. There are water slides, including the Climax ‘super-loop’ body slide, Race Track, Superbowl and much more, and a recreational part. There’s also the Circus Waterpark, which is just as fun as the Waterbom Bali in Kuta. Though it’s smaller, the Circus Waterpark is cheaper than the Waterbom Bali. The Circus Waterpark has many interesting activities, such as a range of water slides and a great kids’ corner with lots of fun activities. The Circus Waterpark is another great place for families with kids or couples to have fun. If you are looking to learn more about the history or culture of Kuta, its museums are the perfect places to go. There is the Bali Shell Museum, which is currently the only museum in Indonesia that features a range of shells from all kinds of shapes and sizes. There are also fossilised specimens from hundreds of years ago and fine art items that define the culture of Kuta. Even if you are not a fan of shells, the Bali Shell Museum is an experience you will remember. 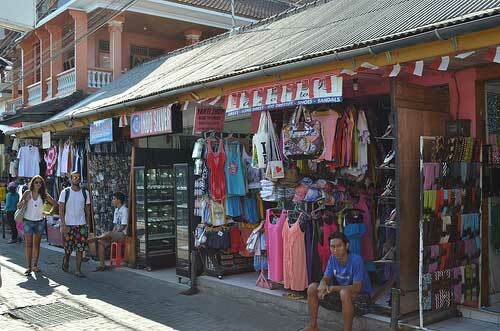 For any foreign visitors in Kuta, shopping is always on the cards as it is one of the Top 10 Shopping Places in Bali. There are a variety of things that tourists can buy to give away as gifts when they go back home. From clothes to artefacts to souvenirs to postcards, Kuta has a lot of interesting things that you can bring back home; things that you won’t find anywhere else. Depending on where you shop, you might find the prices cheaper there. A great place to shop in Kuta is the Discovery Shopping Mall, which is the biggest mall in Bali. If you are visiting Kuta and checking out the entertainment scene in the form of theatres might not be your cup of tea, do consider again. The Kuta Theater might just change your mind with a wide range of shows that is available purely for your viewing pleasure. If you are visiting Kuta with your family then the Kuta Theater is perfect for a great night out as it has theatrical and cultural drama, and magic shows. Kuta has many restaurants, clubs and bars where enjoying the nightlife is made possible and in fact one of its main attractions. Depending on the places chosen, there’s a range of prices available for tourists. For drinks, there’s the Alley Cats bar that is famous for its Double Doubles and is considered quite cheap for tourists. Though, the best place for a drink is at the Skygarden Club, which provides some of the best bargains when it comes to drinks and food. Other than its nightlife, there are also a lot of things to do in Kuta at night. Kuta is filled with many good places to eat. There are simple restaurants and high-class restaurants. If you are looking to have a taste of what local food is like in Kuta, then local restaurants are the places to be. Small restaurants catering the local food of Kuta are Poppies Lane 1 & 2 and Warung Indonesia. The most famous local food here is the Nasi Goreng and the Banana Leaf with Rice. The availability of western food in Kuta is unlimited as there are many restaurants that serve pizza, pasta, fish and chips, chicken cordon blue, spaghetti and much more. Anyone, who has been to Kuta, can vouch for the fact that it is one of the cheapest places for tourists. This is why Kuta is one of the most popular places for backpackers and travellers for many years despite its growing popularity. 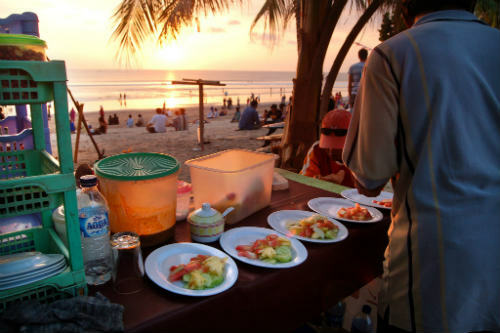 Famous for surfing, Kuta is also known as a cheaper party scene and nightlife, compared to other places in Bali. Give Kuta a chance if you are visiting Bali to see what the hype is all about but stay elsewhere if you want to escape the tourist’s crowd. Kuta is the central party spot in Bali. Since it’s considered the most developed area in Bali, places to stay are everywhere. The Discovery Kartika Plaza Hotel * is quite a popular place to stay in Kuta, despite its price, which is justified as it’s a 5-star hotel. There’s also the Bali Bungalo Hotel * and Febris’s Hotel and Spa *, which are highly recommended by frequent visitors of this area. Suji Bungalow * and Gemini Star Hotel * are affordable places to stay for low-budget tourists. Being the main island, Java has been the most popular destination for tourists to Indonesia. This is because it has many things to offer, from the famous capital city Jakarta, to shopping haven of Bandung, rolling hills in Dieng Plateau, untouched waterfalls in Purwokerto, ancient temples in Yogyakarta, volcanic mountain in Mount Bromo and white sand beaches in Karimunjawa. 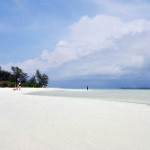 Karimunjawa is a quiet place with many small islands that are known for its finest silky white beaches. For tourists, to reach to this land of paradise is quite a journey. But it is said by visitors that the long journey is definitely worth it. Karimunjawa has the most beautiful beaches surrounded by a deep blue and green-turquoise ocean. It has a great marine life and is perfect for those, who are looking forward to some underwater activities. 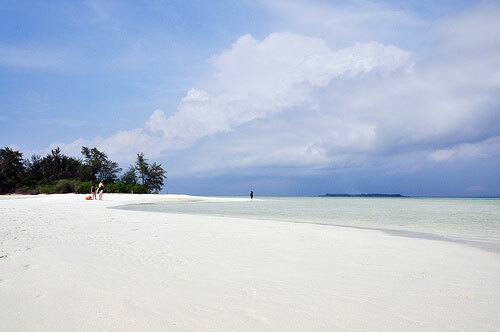 One of the serene white sands beaches found at the Karimunjawa Islands is the Geleang Island Beach. It is a place that provides great tourist facilities and is quite affordable for tourists as well. Specialty lodgings like the huts in Ayu Hotel Karimujawa * or more private cottages like Casa Velion * are well recommended here. The nearest beach to Jakarta that you can find, and many use it as a day trip to catch some sun and sea. The Thousand Islands has lovely beaches and is a great place to experience underwater as it has a range of diving and snorkelling activities for tourists. It is perfect for those, who are looking for some snorkelling activities. There’s the Putri Barat Island Beach, which comes across as a secluded and private island. Altogether, there are 110 islands found on Thousand Islands, but only 36 are appropriate enough to be visited and enjoyed by tourists. These islands are perfect for those craving for tranquillity and beauty. The beachfront resort Royal Mermaid *, situated on Pramuka Island, is one of the best from the minimal choices around these islands. The Pangandaran beach is a great place to watch the sinking sun in the afternoon on the beach after a tiring day of activities. It is also one of the region’s best surf breaks. It has a surrounding area with a beach that is just beautiful. 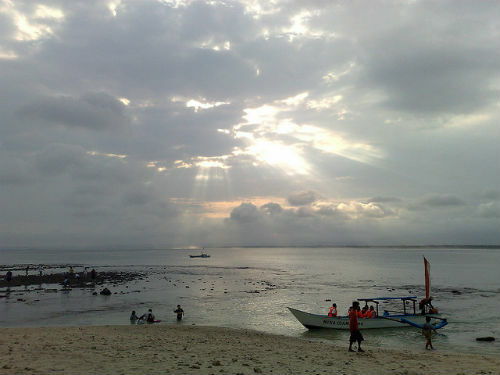 In fact, it has been voted by tourists as the best beach in Java. It is suitable for everyone, who enjoys swimming in its crystal clear water. There are also cave sites dated from years ago that can be visited and experienced at a small price. Bale’ku * is the top rated guesthouse here with a price to steal, starting from only 13 USD. Batu Karas is known as a great spot in the north for surfing activities and swimming. It is well-liked for the different coloured sands on the beaches. Batu Karas is a laidback place where tourists can thoroughly relax themselves through many activities, including swimming, walking on the beach, surfing and eating fresh sea food. 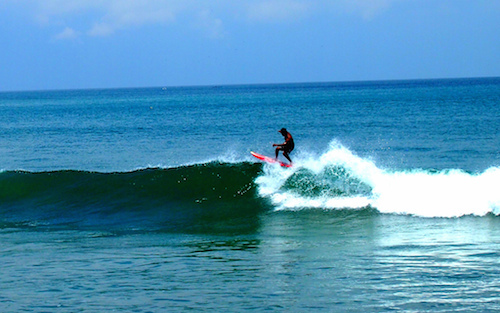 To escape the crowd in Pangandaran, you may check out the surfing spots here. Kukup is a nice isolated place in the south of Java, located in Kemadang village. It is only about 1.5 hours drive from Yogyakarta. But the view of its beach is a sight waiting to be seen as it is perched on cliffs overlooking the beautiful coast. It is an adventure to reach there and it’s totally worth it when you see the breath-taking sunrises and sunsets and small beaches. You can swim or fish in the sea in Kukup. One of the best beaches in the special region of Yogyakarta, about 2 hours drive away, this beach offers both serenity and adventure. If you take up the challenge, you may climb up the cliffs for a breathtaking view over the entire beach. Its natural coastline stretches with white sands and clear blue sea. One of the famous spot to take a picture here is under the famous Duras Tree. This is another beautiful beach near Yogayakarta, about 27km away. It has natural curves of white sandy beaches with a magnificient backdrop of hills. It is also a sacred place for may where they perform the traditional ceremony called labuhan. Due to its wonderful sound of crashing waves and serene location, it is also popular place for meditation. Adinda Beach Villas * is one of the few that is situated right on this secluded beach. Tambakrejo Beach is another beautiful beach not far from Blitar, about 30km. Blitar is an area that is much quieter than the tourist places in Java. So there, you will find calmer beaches and some fancy sites, such as volcanoes and much more. There are rubber forests around the beach where you can explore in between sunbathing on its white sandy beach. It is also safe for swimming here. 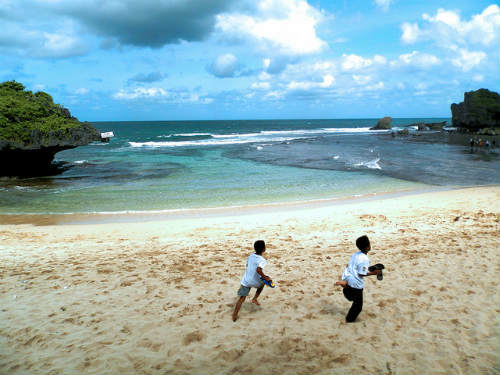 Another famous beach near Blitar (45 km away) is Jolosutro beach, located in Ringenrejo village. Many tourists come to this beach for its many activities that include swimming, canoeing and fishing. Its soft sandy beach is also a popular spot for sunbathing. The south sea of Java is famous for its sweeping natural scenery that has attracted many visitors that has an inside scoop of the hidden gems here. Nearby Malang, there’s also Pulau Sempu (Sempu Island), which is an offshore island that can be reached by boat. It is a lagoon that is isolated from the rest of Indonesia and serves as one of the best getaways for quiet and peace surrounded by blue waters. It can be reached via train from Malang and then by a boat crossing. Indonesia has the longest coastline in the world, so it is not that hard to find many beautiful beaches there. There are all kinds of beaches in Indonesia and it will take visitors years to discover and experience every single one of these beaches. But for now, why not get started on the top ten beaches in Java.